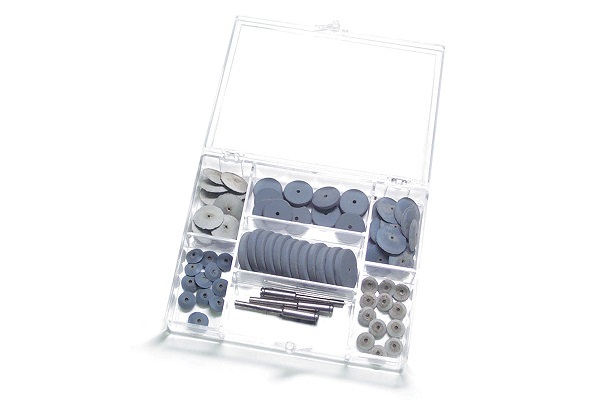 Kit includes 12 wheels each of all six styles and 3 mandrels with 1/8" shanks. For cleaning, polishing and finishing. Made from natural rubber with graded pumice grain evenly distributed to assure uniform results. The light action produces a smooth finish on soft metals.